The Amon Cater Museum of American Art is displaying Famous American photographers Edward and Brett Weston’s like father/ like son photography exhibition from February 21 to August 23, 2015. Located on the second floor in the North West wing of the Art Museum. 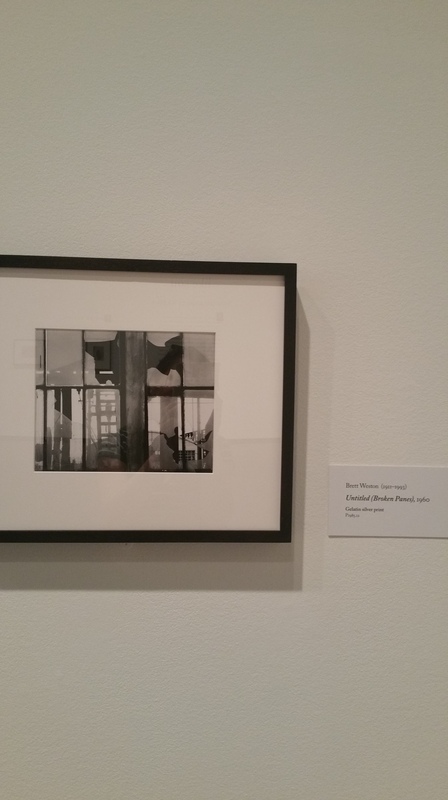 The exhibit features 23 prints of both Edward and Brett Weston’s work. It is said by most critics that it is rare to see the two artists work showcased together. This is a great opportunity to compare the two artist’s photographs, according to cartermusuem.org. Viewers can see how the two artist’s works balance each other out while getting a feel for their differences at the same time. Edward Weston (1886-1958) and his son Brett (1911-1993) are among the most heralded and influential photographers this country has produced, according to the artist statement displayed on the exhibit wall. Edward Weston became quite known in the 1920’s for his close-up photographs of well detailed objects. So filled with detail that they transformed the objects into enticing sculptures, according to the artist statement displayed on the exhibit wall. 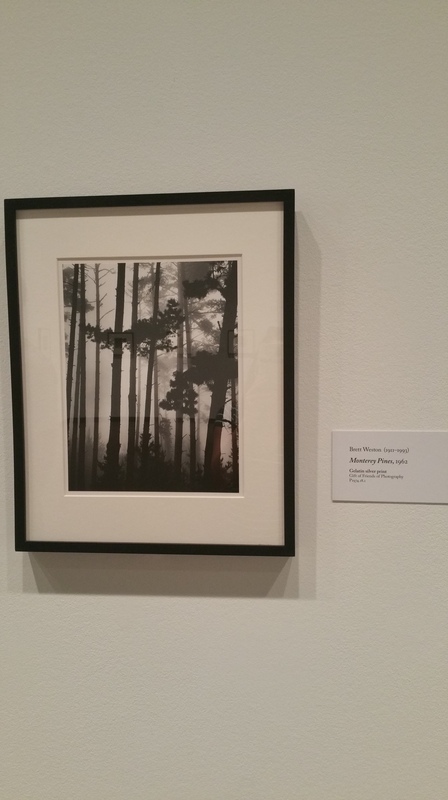 Brett Weston, one of four of Edwards’s sons, found his passion for photography in 1925 after a trip to Mexico. This exhibition showcases the final stage of Edward Weston’s emerging vision and Brett Weston’s artistic memorandum in abstraction to climax the divergence of father and son. The collaborative work of the two highlights the ideas that photographs can record the world and transform it into a symphony of form, light, and texture at the same time, according to the artist statement, displayed on the exhibit wall. All 23, Gelatin silver prints, are in black and white and are mounted on standard white mats in a simple back frame. The historic and iconic photographs represent the artist’s collection title like father/ like son by taking the viewer first though Edward’s ( the father’s) photos then through Brett’s (the son’s). All photos are aligned side by side along four walls. The first photo in the exhibition is No. 10 – Pepper, 1930, which has a striking resemblance to his best-known photograph Pepper No. 30. The photograph illustrates a single green pepper in black and white. He photographed around 30 images in his pepper series Weston was well known for taking still life photos in the 1920’s. As viewers make their way through Edward’s work they witness his still life photos transform from simple objects like vegetables to people, deserts, Beaches, and trees. The photos were taken from all around the world highlighting places such as Mexico, California, and Colorado. Next the viewer is taken through time into Brett’s work, which also features images from all over the world from some of the same places as his father. Brett’s photos feature tree roots, beaches, trees, swamps, and broken glass. You see a more modern theme in Brett’s work compared to Edwards. However the artistic similarity between the two stands out. I particularly relate to Brett’s work best. 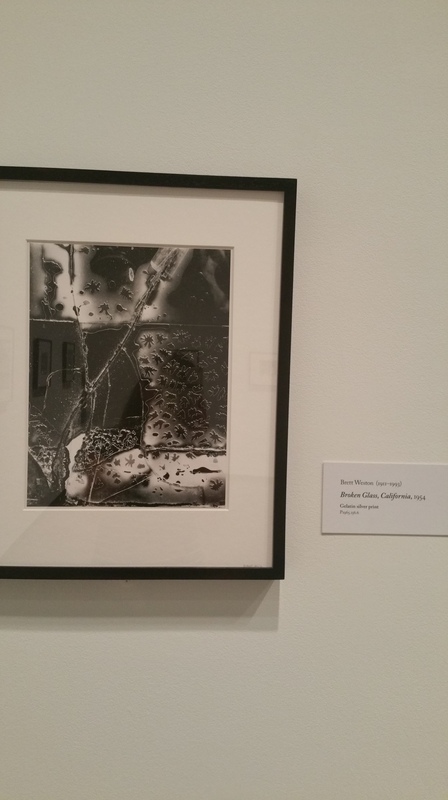 I find his photo Broken Glass, California, 1954 to be my favorite. I would love to have this amazing photograph in my house. Overall I enjoyed the exhibition like father/ like son. It has quite an emotional appeal due to the father and son connection. It brought me to think about my own personal connection I have with my father. What talents might we share? How would we display our artistic similarities and differences?